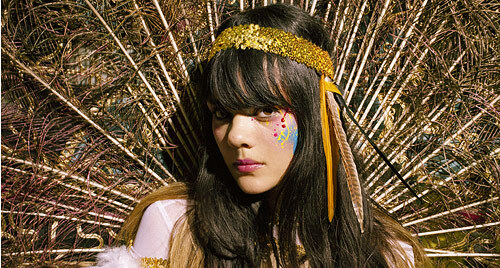 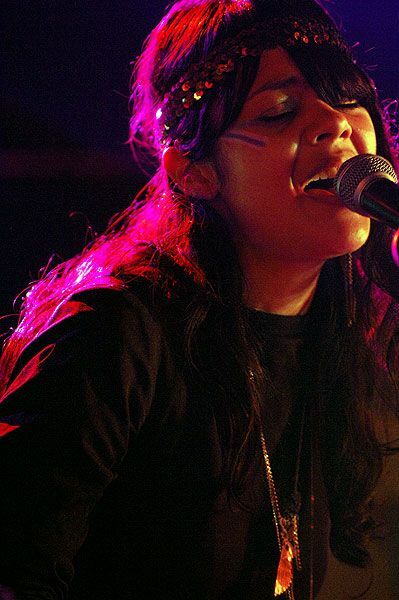 If David Bowie and Pocahontas had a love child, it would be Natasha Kahn of Bat for Lashes. To be honest, I haven't gotten totally into her music, but I love her style and her fun make up ideas! 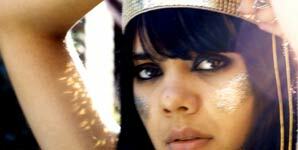 Click here to check out her video for "What's a Girl To Do". 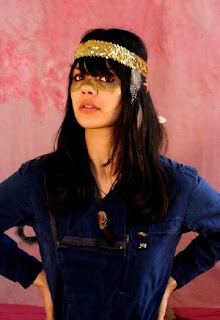 I know, she's so cute! 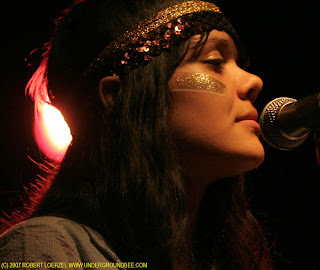 At the Bat For Lashes show at Spaceland, there were tons of girls "paying homage" to her style.